I have two subject areas that are of significant interest to me that I have written about on various occasions over the last several years. One of these areas involves the demographic surveying that must be done for applicants and employees. The other involves the availability analyses that must be a part of affirmative action plans produced under Executive Order 11246. Today, we’re going to return to this later topic, in part because we may be seeing some increased interest in availability analyses by the U.S. Department of Labor’s Office of Federal Contract Compliance Programs (OFCCP). I am not going to recap the problems I have previously noted in regard to availability analyses. My articles in this regard are available online through The OFCCP Digest on LocalJobNetwork.com. These problems have not diminished over time. Instead, I am going to address some additional issues associated with availability analyses and provide some thoughts on different options for data to use as part of these analyses. Why Are Availability Analyses Prepared? As a comparator to the percentage of minorities and females in an affirmative action job group to determine where placement goals should be set. As a value to use when measuring whether placement goals were met during the previous affirmative action plan year. Availability analyses may also be used by regulatory agencies to demonstrate that the percentage of minorities and/or females in applicant pools was unexpectedly different than availability percentages would suggest. This would lead to a conclusion that there were potentially discriminatory barriers to the recruitment and hiring of minority and female applicants. Conversely, legal counsel for federal contractors and subcontractors may use availability percentages to demonstrate that an organization has hired an appropriate percentage and/or number of minorities and females into specific positions. Availability analyses examine the percentage of minorities and females who might enter positions either externally or internally. The data on external candidates used in availability analyses typically comes from information provided by the U.S. Census Bureau. The Census Bureau data provides information on persons employed in various categories of positions by race, ethnicity, and gender. This data was traditionally gathered as part of the decennial census, although the current data being used to produce availability analyses was gathered by the U.S. Census Bureau as part of the American Community Survey (ACS) that is conducted in certain parts of the United States each year. This data is referred to as the 2010 EEO Tabulation and includes ACS data for the years from 2006 through 2009. A foundational problem with availability analyses that has received little attention is the fact that federal contractors and subcontractors are comparing their employee populations to external data on persons already employed in related positions. Why is this a problem? Because employers set availability targets by comparing their workforce percentages to persons who are already working. In essence, employers are setting targets based on recruiting people who are not available for their open positions. In an era of full employment, which is where the United States currently stands, census data tells employers very little about who may actually be available for their positions. Someone could argue that census data provides insights into how a specific organization stands in relation to other organizations in the relevant geographic market. Even if this is true, census data is still unhelpful, since an organization with fewer minorities and/or females than neighboring organizations would be required to take minorities and/or females away from its neighbors in order to reach availability targets. Setting placement goals and making outreach efforts based on census data then becomes a zero-sum game: as the percentage of minorities and females at one organization increases, the percentage at one or more other organizations decreases. Perhaps the census data in the 2010 EEO Tabulation should be read as an expression of individuals who are either working in a given field OR who had been working in a given field but who are not currently working. If that is the situation, then the 2010 EEO Tabulation is only useful in periods of relatively high unemployment. In the current environment, where statistics suggest that most people who desire to work are working, census data only provides a picture of how many minorities or females an employer would need to "borrow" from other employers in order to reach the theoretical average for the relevant occupational and geographic areas. If we assume that census data gives us some insight into individuals who might be seeking new positions in a related field1, the next issue we face with the data available from the U.S. Census Bureau is that this data is old data. The 2010 EEO Tabulations that OFCCP has instructed federal contractors and subcontractors to use contains data from ACS surveys conducted in 2006 through 2009.2 OFCCP had expected there would be subsequent updates to the 2010 EEO Tabulation, but this has not occurred. This means that the census data being used in affirmative action plans is already more than 10 years old. In a world where demographics changed very little over time, using data that is 10 years old might not be an issue. However, it is very clear that demographics ARE changing. Studies show the United States in 2018 looks different than the United States did in 2006 or 2009. This means that census data used in affirmative action plans is providing an inaccurate picture of persons working in various types of positions because the data is old and is likely to be aging poorly. Is It Possible to Construct a Useful Availability Analysis? Given the issues I have identified in previous articles about availability analyses and the issues noted above, it is appropriate to ask whether it is possible to conduct a useful availability analysis. A fair answer to this question may be "No, it is not possible." This does NOT mean that it is impossible for federal contractors and subcontractors to produce availability analyses that meet OFCCP’s regulatory requirements. It is possible to prepare complete and compliant availability analyses according to the federal regulations, even if the final availability calculations are subject to multiple errors and issues associated with the flawed data that must be included in these analyses. Where placement goals have not been met, the agency expects that federal contractors and subcontractors have concrete plans for the future that will help to ensure goals are met. Applicant Flow Data – While census data may provide a wholly inaccurate picture of the candidates available for external openings, applicant flow data provides a more precise picture of the candidates who have expressed interest in positions. This is especially the case when using multiple years of applicant flow data. The problem with applicant flow data is that this data may be affected by recruitment efforts, and thus OFCCP may consider this an unacceptable alternative for traditional census data if an organization cannot show it made effective outreach efforts. Another problem with applicant flow data involves positions where there are few candidates of any race, ethnicity, or gender. 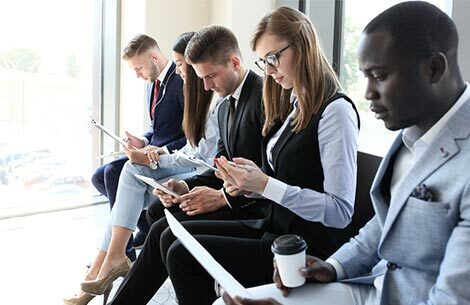 This may occur when a high level of skills or experience are required for a position, limiting the number of candidates in all demographic populations, or when there are a limited number of potential candidates because of full employment in a particular geographical area. Data from Educational Institutions – For positions such as entry-level professional positions where an employer hires directly from educational institutions, federal contractors and subcontractors may consider using data on recent graduation rates from these institutions.4 This data is available from the Department of Education’s National Center for Educational Statistics (NCES) and from other sources. Organizations would probably need to use multiple years of data from a number of schools in order to provide a sufficiently large data set for comparison purposes. Industry- or Income-Specific Data – The 2010 EEO Tabulation includes additional data beyond the data that is traditionally used in affirmative action plans. For example, there is industry-specific data that is part of the 2010 EEO Tabulation as well as income-specific data. As with all data in the 2010 EEO Tabulation, the industry- and income-specific data is old and flawed in various ways, but this data does have the benefit of potentially being more closely aligned to the nature of the jobs an employer has available. Extrapolations from the 2010 EEO Tabulation – There are some employers who have attempted to "refresh" the data in the 2010 EEO Tabulation by examining general population trends in a particular geographic area and then applying these trends to the census categories found in the 2010 EEO Tabulation. For example, if general population statistics show an increase in the percentage of Hispanics in a particular geographic area, statistics from the 2010 EEO Tabulation would be reweighted to assume a growth in the percentage of Hispanics in each census category. The obvious flaw with this approach is that there is no guarantee that a general change in demographics will affect each census category the same way. "Have we developed an effective job group structure?" "Can we defend the data we have included in our availability analyses?" "What picture of this organization are we trying to provide to OFCCP?" "How are we portraying our availability analyses to other individuals who may review these analyses?" The answers to these questions may be important in developing placement goals that are as viable as possible. However, it may be time for federal contractors and subcontractors to help educate OFCCP about the flaws associated with availability analyses rather than trying to defend these analyses. OFCCP compliance officers should be made aware of the difficulties associated with finding viable candidates in an era of full employment and the fundamental flaws that are associated with the use of the 2010 EEO Tabulation. Affirmative action plans should contain narrative discussions that make it clear there is no way to create placement goals that give a precise calculation of who might be available for open positions. Employers should be prepared to defend their availability analyses while simultaneously pointing out the inherent flaws with these analyses. More critically, federal contractors and subcontractors should focus much more on actions rather than availability analyses. The ability to demonstrate that an availability analysis is complete and accurate is much less important than the ability to demonstrate that specific, concrete actions were taken to recruit well-qualified minorities and females. 1. This assumption may be false in a variety of ways. For example, individuals in a given census category may not be looking for a new position. Further, individuals in a given census category who are looking for work may be seeking to change professions and thus may not be looking for a position in the same census category. 3. This parallels the approach that OFCCP has taken to reviewing efforts made to recruit and select protected veterans and individuals with disabilities under the agency’s revised regulations for these groups. 4. The federal affirmative action regulations state that federal contractors and subcontractors must "consider at least the following factors:" the percentage of minorities and women with requisite skills in the reasonable recruitment area, and the percentage of minorities or women within the organization. Applicant flow data and data from educational institutions would be additional factors along with the traditional two factors.